Another Herbarium is here! Let’s start with a small linguistic introduction. There is a group of words in Czech language known for their frequent mispronunciation such as “standartní”, “spontální” or “bizardní”. Their family could be easily extended by one botanical member – cardamon, which is often pronounced with “n” at the end, but that’s wrong. The right way to pronounce this herb is cardamom, sometimes also called the Egyptian pepper. Let’s start our small adventure into the stories behind this plant. Cardamom belongs to ginger family whose members are used primarily as a source of different spices or for their healing power – mainly ginger and turmeric, without which we can barely imagine our cuisine today. Btw, you can learn more about the miraculous effects of turmeric in our August's BOTANICALnews. 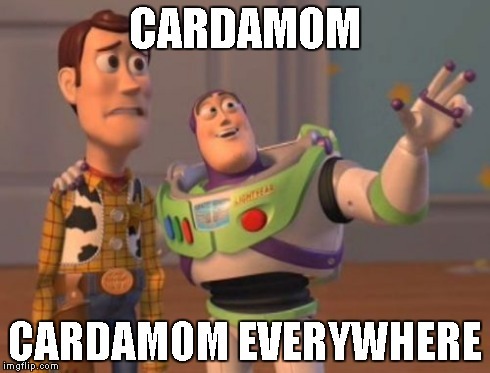 From cardamom we can use not only his roots, but mainly his seeds, fruits and rhizomes. Originally cardamom grew only on the territory of India and southern China, today it is spread over most of the tropics and subtropics. 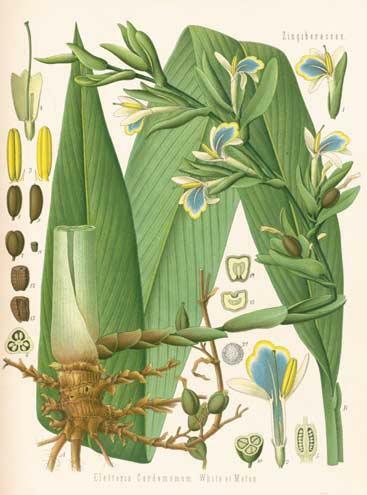 The description of cardamom’s rich ethnobotanical uses would give a diploma thesis. Long story short – in Indian and Chinese cuisine, people use rather cardamom’s fresh rhizome than a spice made from its dried fruit used in Western cuisines. In Arab countries and India, the ground cardamom seeds are added to coffee and tea, in Denmark they’re used to flavor local traditional pastries. Cardamom’s essential oil is used as a natural pressure enhancer, and talking about its healing effects, in Eastern medicine, cardamom plays a pivotal role. 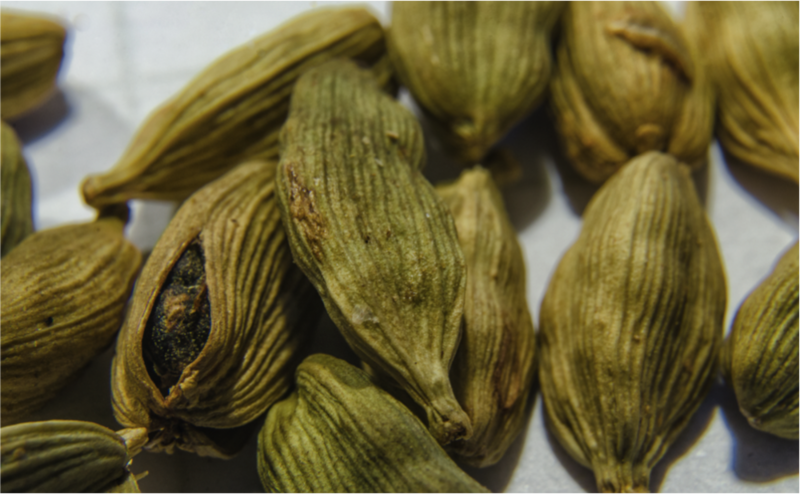 His seeds are "prescribed" for example in case of stomach, breathing or heart troubles and when added to tea, cardamom will create a miraculous stress-reducing drink. You can also find cardamom as one of the ingredients in natural soaps and creams thanks to his a positive effect on the skin redness. On top of that, cardamom is also used as a natural chewing gum. Also cardamom’s leaves are useful in the kitchen. Try to pack meat or vegetables in the cardamom leaf and boil it. It will add a pleasant flavor to your dishes. And finally one important advice – a pinch of cardamom in black tea reliably heals hangover! Do you ask how to grow this natural first aid kit and indispensable kitchen assistant in your own plant pot? Whether you buy the plant or get the cutting from someone, keep in mind that cardamom loves hot weather, but it can’t bear the direct sunlight. So keep it in shade or semi-shade and give it a sufficiently humid substrate and the necessary nutrients, especially in its growing period. In the summer, you should also spray it daily with water.